These are such special flowers and I love the colors on the second one. Fantastic details, as always. 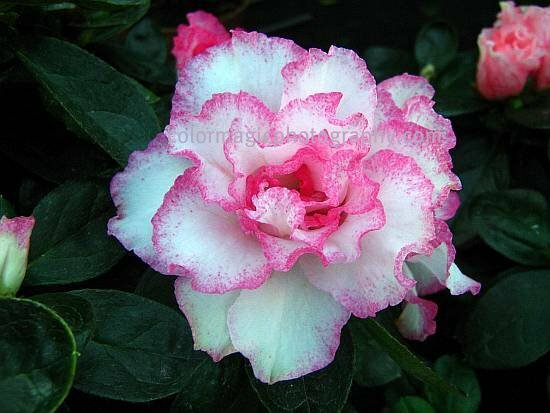 Both flowers are lovely but the coloring of the second one is gorgeous. Too bad the garden center no longer welcomes photographers. If they all did that many of us would have far less photos. Maia, you asked about the poem I used last week. I just did a search for sunflower poems and came up. There'll be other gardens where the y will welcome photographers, Maia. When I took some photos of lovely flowers outside a florist's shop in Hong Kong, the worker there stopped me. So sad. There'll be other lovely flowers. These flowers are beautiful. I don't understand why those people won't allow photos of their flowers. So beatiful! The second one is so crisp in it's colours. How can they ban photographers? Nothing drives business IN like a shout-out to the place where you took photos of those gorgeous flowers. As suas flores estão lindas. A segunda parece que foi pintada a mão! Lovely flowers and very summery. I made a comment yesterday but I was in a hurry (a storm pass on the other side and left us with rains and winds!) in case we lost power. I hope you're OK and safe. I'm OKAY Lui, thanks for asking. For those of you waiting for tomorrow's Irene: take care and take shelter. Maia, those are not azaleas? That would have been my guess. But I agree that it's very shortsighted to ban photographers. 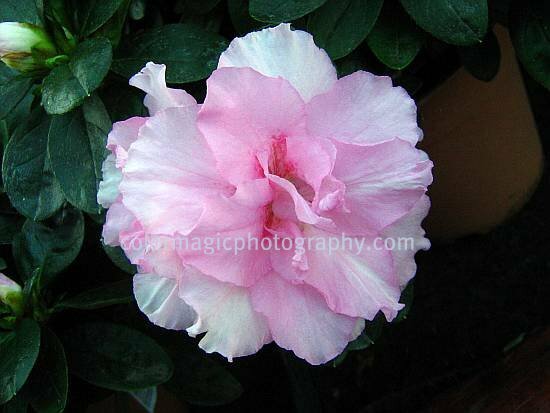 Sara, they were labeled as azaleas, they are very small and sold as indoor plants by us. I bought one but it had a very short life in my home. What are they than, if not azaleas? Those are some gorgeous flowers with wonderful color! I'm late, but I'm here. Better late than never, eh?